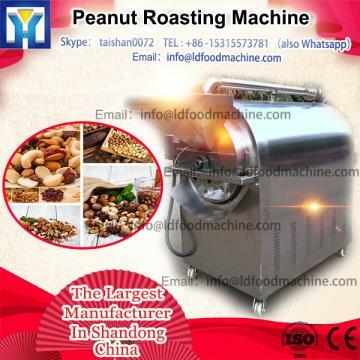 1.Food: coffee beans, sunflower seeds, chestnut, nuts, cashew, peanuts, soybeans, corn, etc. Various kinds of Grain seeds raw materials to Smokeless baked dry to eat. 2. Vegetables: all kinds of vegetables dehydration or tea drying. 3.Medicinal materials: drying or steamed fry. 4.Oil press seeds: all kinds of seeds raw material before oil processing,heat treatment the seeds dehydration or steamed fry, make its become soft and easy to press out oil. 1. Top quality raw material safe and stable, Smokeless and environmental, power saving and efficient. 2. Automatic control operation, saving the cost of production. 3. Use the high quality heating tube, service life is more than 5 years. 7. It can use gas or electricity as heating fuel. Thanks so much for you taking time to browse our roaster machine. Any further questions, please feel free to contact us and we are ready to so service for you!